Boss B1615 and B1616 Drafting Office Chair - Free Shipping! 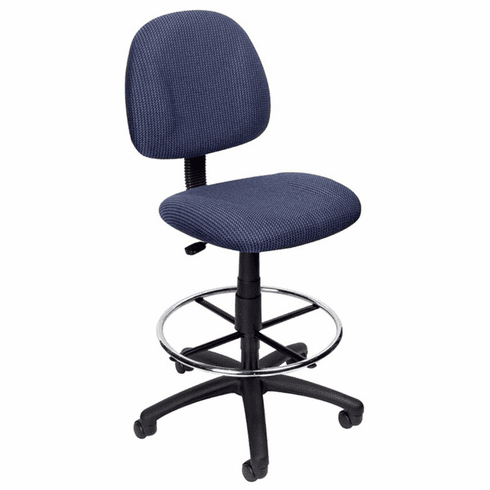 Remove back strain and uncomfortable seating arrangements by using the Boss Drafting Stool with Contoured Back. Height adjustments are quick and easy through the pneumatic gas lift. The sturdy chrome foot ring comfortably fits seating positions without any additional changes. Look for greater stability in the stool's large nylon base. These drafting chairs normally ship within 2 business days from our GA or CA warehouse. and (1) box with the footring and extension.